I was heading to a board meeting yesterday and I wanted to take some cupcakes to help us act in accordance with the fiduciary duties of care, loyalty, and obedience. Because of where I am on my cycle, they had to be not just chocolate but chocolate on chocolate cupcakes. The result was rich, dark and delicious. Because of the melted butter, water and buttermilk, these are super moist, too. Chop the pecans very finely, so they becomes little nutty bits within the frosting. Place cupcake liners in 2 pans. Preheat oven to 350 degrees F.
In a mixing bowl, place the flour, sugar, salt and soda and stir to combine. In saucepan, melt the butter. Once melted, stir in the cocoa and then add the boiling water. Pour the butter/cocoa over the flour mixture. Stir gently to combine. In a separate bowl, beat together the buttermilk, eggs and vanilla. Pour the mixture over the batter. Fill cupcake liners about 2/3rds of the way full. Bake for 20 minutes, rotating pans midway through baking. A toothpick pressed in the center should come out clean. Cool on wire racks before frosting. The frosting is sweet without being cloying and is also deeply chocolate. Melt butter in a saucepan. Remove from heat. Add cocoa and stir to combine. Add the buttermilk, vanilla and powdered sugar. Stir together until well combined. Add the pecans and stir together. 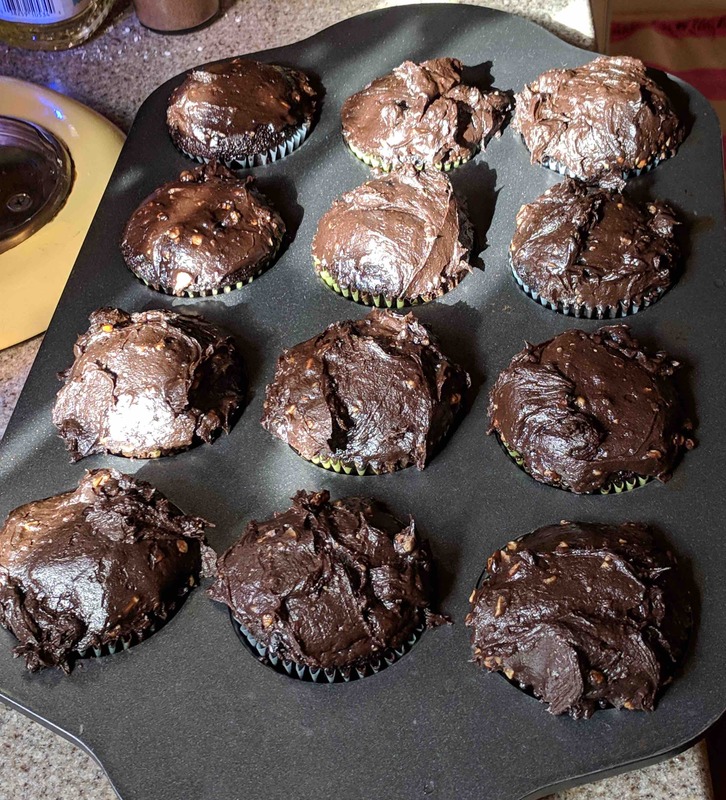 Once cooled, spread over the cupcakes.